WASHINGTON, Nov 4 (Reuters) - The head of the Democratic National Committee on Saturday vowed to ensure all candidates have an equal chance to win the Democratic presidential nomination after a former party chair accused the committee of rigging the process to aid Hillary Clinton in 2016. DNC Chairman Tom Perez said in a statement the 2020 nominating process would be "unquestionably fair and transparent." Perez made his comments after former DNC Chairwoman Donna Brazile said in an opinion piece in Politico earlier this week that the nomination process had been "rigged" in Clinton's favor after she signed a fundraising agreement with the DNC in 2015. Clinton, a former U.S. senator and first lady, beat Senator Bernie Sanders for the nomination but lost the election to Republican Donald Trump in November 2016. Senator Elizabeth Warren, a Massachusetts Democrat, told CNN this week that Perez needed to assure Democrats, including supporters of Sanders, that the process was fair and she agreed that the 2016 nominating process was "rigged." Perez said he is "more committed than ever before to restoring voters’ faith in our democratic process because even the perception of impartiality or an unfair advantage undermines our ability to win. That is unacceptable." Sanders' campaign manager Jeff Weaver told CNN this week he thought the debate schedule was "rigged." Perez said the party will "decide the debate schedule in advance, instead of negotiating it after all our candidates have entered the race" and "any and all joint fundraising agreements will be transparent." 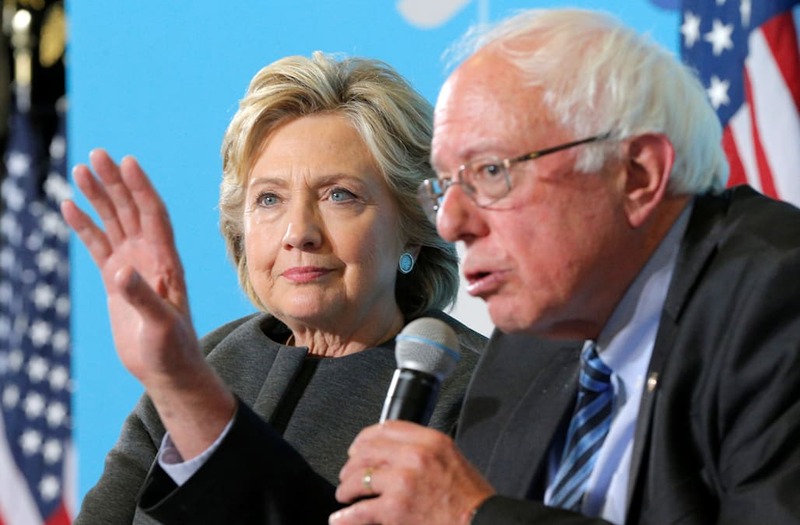 Leaked emails in 2016 suggested the party had actively favored Clinton over Sanders. Former Clinton campaign manager Robby Mook on Friday denied the nomination had been rigged in Clinton's favor. "Hillary Clinton won this primary with almost 4 million votes," Mook told CNN. "The idea that the DNC could rig a contest frankly is laughable." Brazile, who replaced former DNC Chairwoman Debbie Wasserman Schultz last year after a furor over the contents of the leaked emails, also wrote she contemplated proposing to replace Clinton as the party’s 2016 presidential nominee, the Washington Post reported on Saturday. The Post said she considered replacing Clinton with then-Vice President Joe Biden after Clinton fainted in September 2016. In a soon-to-be published book, Brazile recounts deliberations as interim DNC chair whether to initiate the process of removing Clinton and running mate Tim Kaine, a Virginia senator, the Post reported, saying she ultimately did not seek to remove them. DNC rules give the party's chair the ability to call a special meeting to consider replacing a nominee in the event of the death, resignation or disability after a candidate has officially been nominated, but only the full DNC has the power to fill vacancies. Brazile’s book "Hacks: The Inside Story of the Break-ins and Breakdowns that Put Donald Trump in the White House," is to be released on Tuesday by Hachette Books.